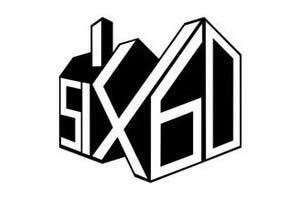 Three years ago on a rainy Monday morning in Christchurch, I picked up the phone and called Ji Fraser to interview him about his band Six60, named for their flat at 660 Castle Street. When I asked him about how he found flatting in Dunedin he responded diplomatically, “Flats are not that nice to live in but have heaps of character.” The house and it’s neighbour, were built c 1927-8, and are now looking their age. Ji hails form Gisbourne but his Otago experience began at University College in 2005, he and Matiu took a couple of music papers – they’d both been turned down for the contemporary rock course. It doesn’t bother them now. They’ve done very well, they signed with Universal Studios on 8 May 2010, and their single Rise Up 2.0 recently reached number 1 on the NZ charts on 24th January 2011 after entering the charts on 6 Sept 2010. In 2006 Matiu and Ji moved into 660 Castle Street with friends from University College. They had spent time jamming in their rooms and thought it’d be good to flat together and get a band going. Ji bought a cheap PA. Hoani played the bass. Through the course of the year they met Eli who’s still the current drummer (2011). They referred to the flat amongst themselves, and to others, as 660, and as the band formed and they started playing shows, they became known as the 660 boys. When it came to releasing their first EP, they decided to call themselves Six60, after that Castle Street flat because “it was a place that meant so much to us”. Rise Up EP logo via George FM, Copyright Six60. Before their first NZ tour Ji contacted a friend who has a clothing label called Search. One of their designers came up with a range of ideas for a logo for the band, the brief was to include the name and reference the Castle Street flat. It was used on the Rise Up 2.0 release cover. The guys like the idea of strong visually memorable graphics to advertise themselves. Their music video for Don’t forget your Roots (directed by Robin Walters, July 2011) cruises through the Dunedin North landscape and highlights a number of named flats of the day.